Spinogatti Fuels is a family owned and operated full service fuel oil company. 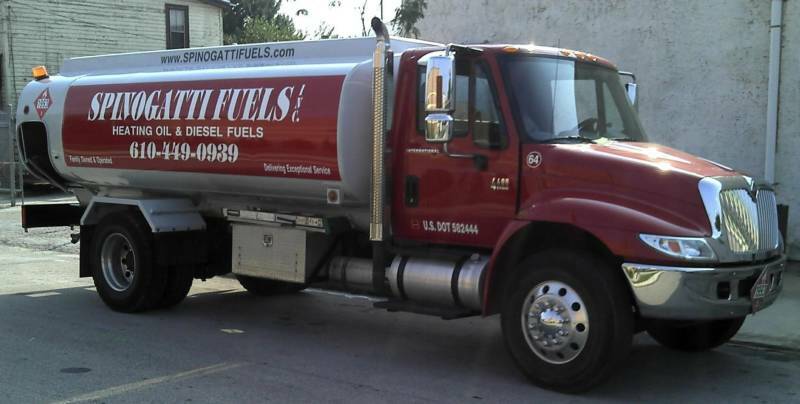 We deliver home heating oil and diesel fuels to Delaware, Montgomery, and Chester Counties at discount prices. We also offer service, sales, and installation of oil fired heating systems. We have been in business since 1993 and pride ourselves on delivering high quality professional customer service. Oil heat means personal service. At Spinogatti Fuels, we treat you like family, never like an account number like other companies. We are dedicated to never leaving you in the cold. We offer same day delivery and automatic delivery plans so you do not run empty.